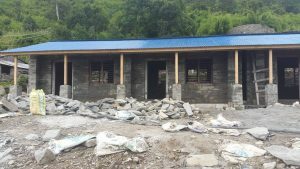 In the past 9 months NAFA has helped 9 remote villages across 5 districts in Nepal rebuild or substantially repair their schools after the devastating earthquakes in April and May 2015. NAFA provided $500,000 to rebuild or substantially repair 60 classrooms in 9 schools. We also provided $15,000 to help two remote schools purchase additional land for their schools and to clear and excavate that land in preparation for building. New structures are now resistant to further earthquakes. NAFA provided $30,000 to train local builders in earthquake resistant building techniques and to employ a Nepali engineer full-time for up to 6 months in two locations to oversee construction work. We are very proud of local builders’ achievements, under very difficult conditions, in the following villages: Dhupiserki and Patle (Okaldhunga district), Kophu (Solu Khumbu), Shyama (Dolakha), Jitpur (Sindulpulchowk) and Tawal, Kutal, Richet and Ladap (Dhading). 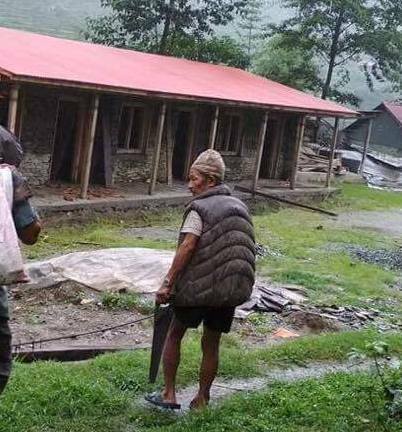 NAFA recently allocated nearly $140,000 to rebuild 13 classrooms in 4 villages (Tawal, Kutal, Ladap and Richet) when roads open after the monsoon season. 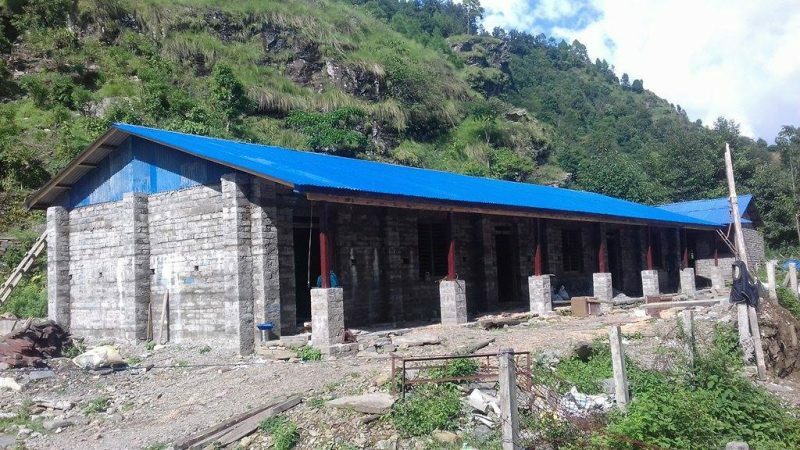 This allocation for the second phase of the school rebuild program will complete NAFA’s commitments made after the April and May 2015 earthquakes. We hope that the rebuild will be fully completed by NAFA’s next annual fundraising dinner in May 2018. Never let a monsoon interfere with a project deadline! Working in the rain in Tawal, a small village in the Dhading district, to complete laying the concrete slabs for the first floor of their community’s new two-storey school. In Kutal, a neighbouring village, another 100 people were doing the same. 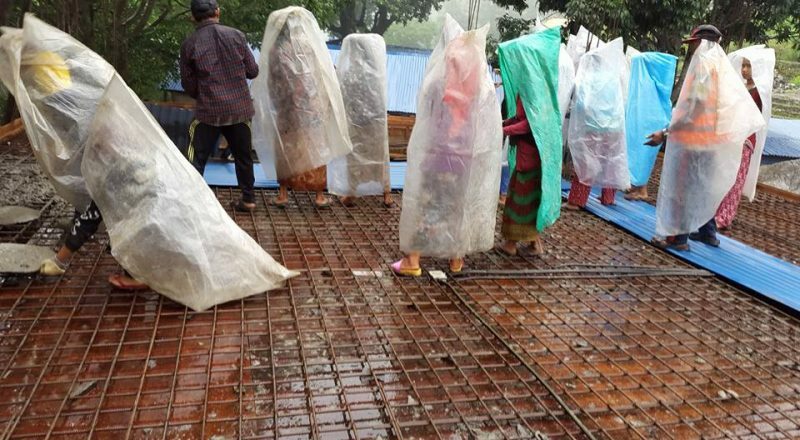 The monsoon was arriving early and they were determined to finish this stage of the project. 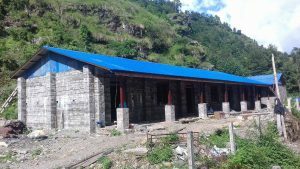 “After nine month’s hard work we have finished slab of four classrooms,” says Kanchha, a teacher at the Tawal school and NAFA’s key liaison person. “That day was drizzling rain but ignored by all the people to that bad monsoon because for their children getting earthquake proved (proof) building.” Many women worked under umbrellas to prepare the aggregate for the huge amount of concrete needed for the job. What a wonderful effort by all involved! This is Sunil, a young man with focus and determination and with an eye for driving his own successes. His mother was an orphaned young woman who married at the age of 14. She was subsequently abandoned by her husband with 3 little ones to care for. Sunil’s father eventually did return to the family, only to die suddenly after this reunion. 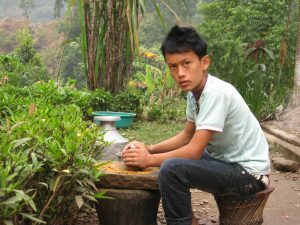 Sunil’s primary and secondary years were spent in the care of PA Nepal. Since he was old enough to work (and possibly earlier), Sunil has worked to help support his family. He’s a very hard worker with a great interest in tourism. 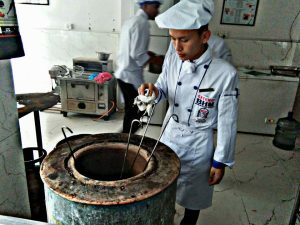 With the assistance of a NAFA Sponsor since 2007, Sunil has completed schooling and is now mid-way through a Bachelor of Hotel Management in Kathmandu. There is no doubt that Sunil has authored his own destiny, while weathering the disadvantage that life has thrown at him. His NAFA Sponsor was the water that nourished the seed that helped Sunil realise some of his dreams. We welcome interest from potential sponsors. If you’d like more information about NAFA’s Child Sponsorship Program, please email Jo Bicknell. The second stage of rebuilding received a fabulous injection of funds thanks to 2 very successful fundraisers. Many thanks to all those people who supported our runners and walkers in the Brisbane Marathon Festival 2017. 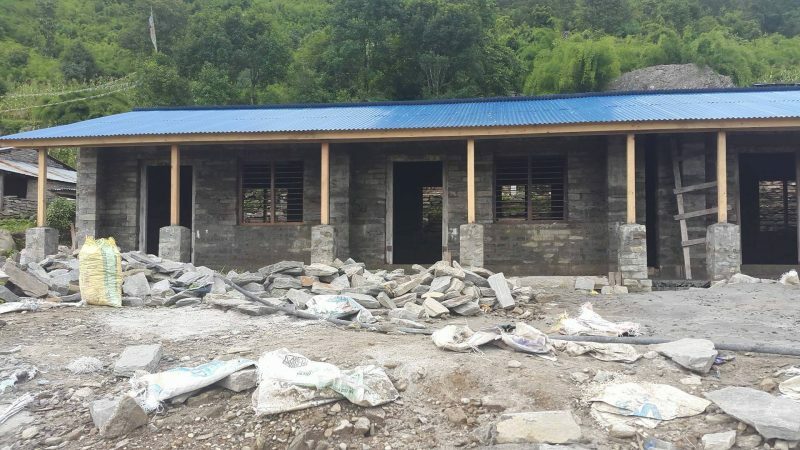 We raised over $22,500 – enough to rebuild 2 classrooms. 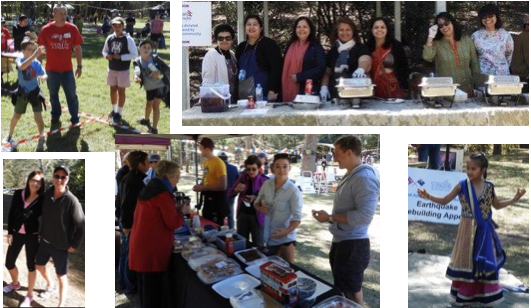 held at Mt Coot-tha on 20 August, raised $9,000, thanks to people who completed a short walk and people who enjoyed the many festivities, including music, dancing, beautiful food and Nepalese handicrafts. Such a wonderful outcome. 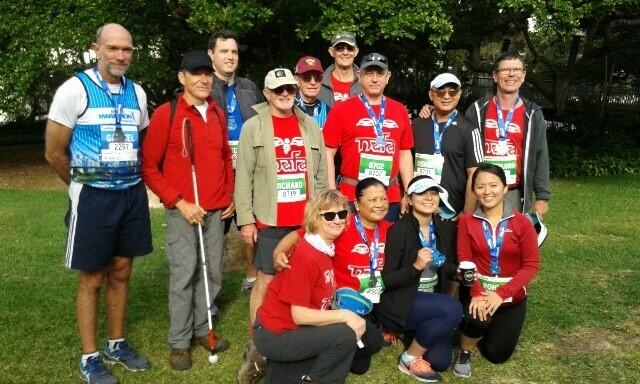 Particular thanks to all our NAFA volunteers who helped us with these events. 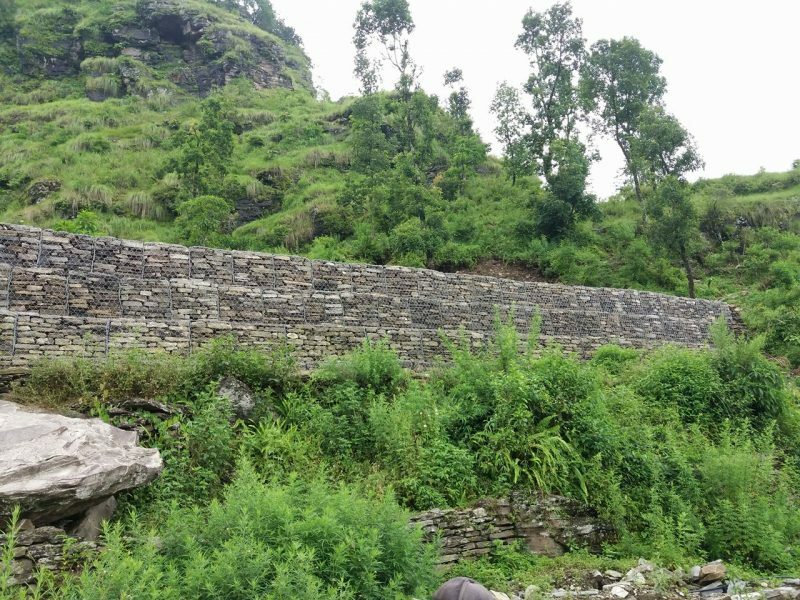 One of the gabian walls that now protects the village of Tawal (Dhading district) from potential landslides or rockfalls, built with NAFA funding. This one is 8m high & 50m long. Tawal was only 15km from the epicentre of the Gorkha earthquake in April 2015 and 100% of the houses & community infrastructure (e.g. schools) was destroyed.